You understand how the different parts are connected to the whole, and how the outside world affects you. 2 day BMG workshop. 8: 30 - 16:30. Lectures and group work. 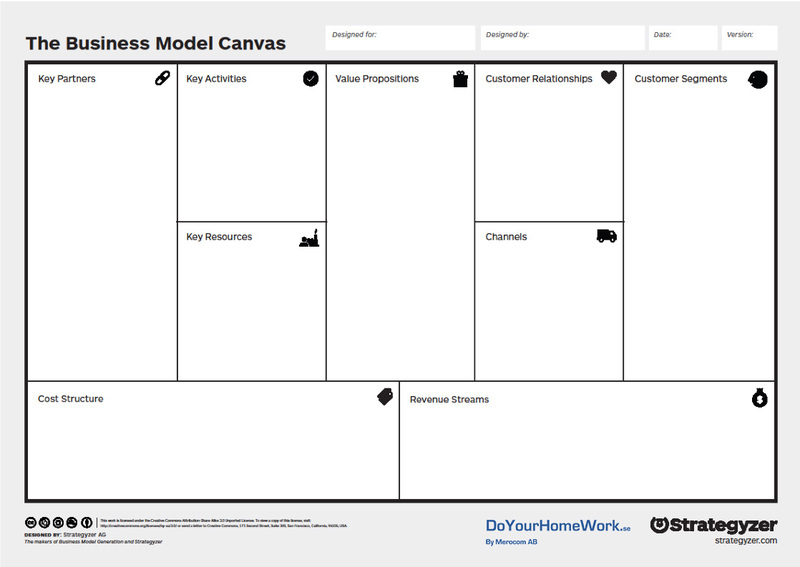 Think about what your business model looks like today? Inspiration and introduction to the model. Group work: Draw a business model canvas, presentation. Impact of the outside world. Group work: Draw a value proposition with presentation. Your tools to continue working on this!